How many times has this happened to you? You design and deliver a great product, ship millions of units into the market, and then realize too late that you forgot to add the wireless networking? Boy, is your face red. Cheer up, friend. There’s a solution to your problem. And it doesn’t involve product recalls, PCB rework, new components, or awkward conversations with the purchasing department. In fact, it’s just a software fix. Whew! I bet the boss will never know. Thanks, Chirp! Thanks, who? Why, Chirp, of course, the cheerily named 10-person startup located in central London that has transmogrified an old technology into a new solution. Chirp does wireless networking without the wires – or any RF components at all. How’s that work? The hint is in the name. Chirp does data-over-audio. They modulate sound, not radio spectrum. When Chirp says they transmit over the airwaves they really mean air waves. Practically any device with a speaker can transmit, and any device with a microphone can receive. That means lots of old MP3 players, tablets, digital picture frames, speakers, e-readers, or cheap flip phones can potentially use Chirp’s technology to add local-area networking purely through software. No RF components and no hardware add-ons. Fun! Chirp’s range is roughly the same as that of Wi-Fi. Basically, if the device is within earshot, it’s close enough to exchange data. A loud device (a public address system, for example) could reach across an entire stadium, while a quiet device might reach only a few meters. Or a few inches. You could also simply turn the volume up or down to adjust the broadcasting range, a nicely intuitive method that RF devices don’t really offer. Worried about someone eavesdropping on your data? Close the door and turn the volume down. What Chirp isn’t is fast. It’s orders of magnitude slower than either Bluetooth or Wi-Fi, so think carefully about how much data you need to transmit. Plan on data rates in the range from about 20 bits/second up to 1K or 2K bits/second, depending on ambient noise and other factors. Think of Chirp as a kind of QR code: a simple way to represent limited data using a different medium. On the plus side, Chirp doesn’t require the tedious pairing of Bluetooth or the SSID/passphrase exchange of Wi-Fi. “It’s 2019 and we still haven’t sorted out Bluetooth pairing or how to connect to the meeting room projector,” says Chirp CEO James Nesfield. To leverage the billions of existing audio input and output devices already in the field, Chirp restricts itself to the audio spectrum, meaning roughly 20 Hz to 20 kHz. Virtually any device can transmit and receive at those frequencies (and often well outside of that band as well), so it’s a safe bet that any past, present, or future gizmo that makes noise can do so at the appropriate frequencies. That doesn’t mean that Chirp’s chirps are necessarily audible to humans. That’s a user option. Although the “audio” spectrum is usually defined as 20 kHz and below, most humans can’t actually hear anything above 17 kHz or so. That leaves a small band of perhaps 2 kHz at the top end of the spectrum that is imperceptible to humans but is happily supported by cheap commodity speakers, transducers, and microphones. If you want your data chirps to be inaudible, simply configure the software to use the upper end of the audio spectrum. On the other hand, Chirp works just as well as an audible data transfer, in which case “it sounds a lot like R2-D2. 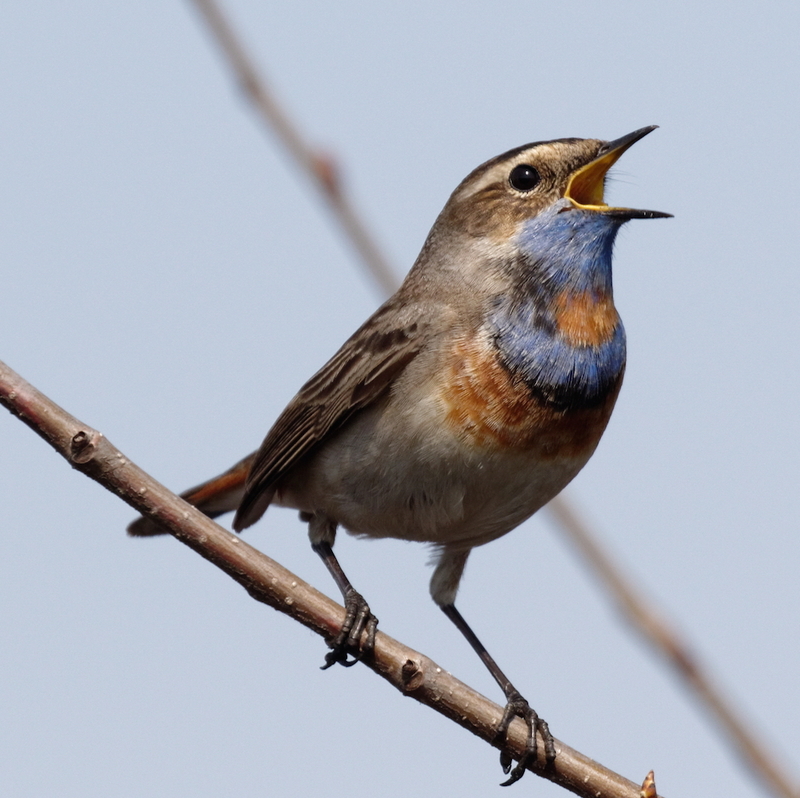 It’s a digital birdsong kind of sound,” says Nesfield. Chirp can also layer on top of existing audio, such as music from an MP3 player or PA announcements. That means you can mix audible and inaudible data. Chirp doesn’t replace a device’s native audio; it complements it. The uses cases for Chirp are… not always immediately obvious, even to its creators. At one extreme, a supplier of nuclear power plants uses the company’s technology as a low-bandwidth IoT network to monitor the health of its industrial equipment. The plant is hugely noisy (above 100 dB, too loud for human occupancy), but Chirp-enabled devices have no problem communicating above the din. At the other extreme, kids’ handheld games use Chirp to network up to eight nearby players, like a LAN party without the network cables. In a business setting, Chirp sees its technology as an alternative to Bluetooth beacons, which can unintentionally penetrate walls and floors, whereas Chirp can easily be restricted to a single room. One customer in India uses Chirp as an electronic ticket taker. Passengers simply wave their phones in the general direction of the ticket machine and it validates the fare. The system works better than QR codes because it doesn’t require line of sight. Or even light; sound travels just fine in the dark. Chirp’s business model mirrors that of most software companies. There’s a recurring license fee for access to the technology, which allows the developer to deploy as many devices as they like. There’s no per-unit or per-byte royalty. “We’ve basically reinvented the modem,” says Nesfield, with some justification. Transferring data over sound is an old process that includes SOSUS, SONAR, medical ultrasound imaging, 300-baud Hayes Stack modems, and scores of other applications. Wi-Fi, Bluetooth, Zigbee, and other RF networks may be faster, but they’re also way more complicated and can’t be retrofitted to existing devices like Chirp can. Plus, you don’t get to hear the data. As a software-only network addon, Chirp turns old tech into something useful and new. Simple networking. Just add software.